Anthony Irwin & Dave DuFour "NBA Most Improved and LEAST Improved Players"
SPECIAL "NBA Most Improved and LEAST Improved Players" Anthony Irwin (Locked on Lakers) and Dave DuFour (The Athletic/Count the Dings) join Keith to recognize which players are in contention for Most Improved Player and which ones should be highlighted for not improving. Like, at all. 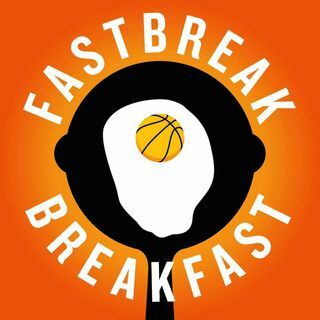 Get exclusive bonus content at Patreon.com/FastbreakBreakfast. Join now to enter our March Madness Bracket Showdown! Apply promo code "FASTBREAKBREAK" at SeatGeek.com for $20 off your first ... See More order.